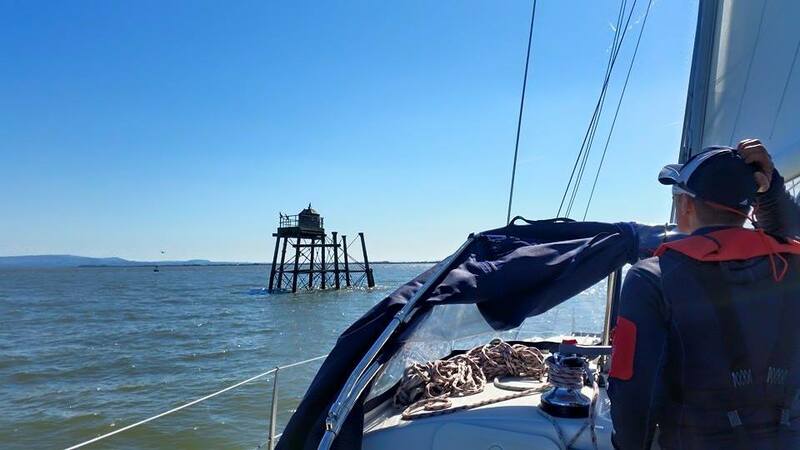 The Wyre Light Lighthouse is one of three in Fleetwood, which worked together to guide ships to shore along the channel of the River Wyre. 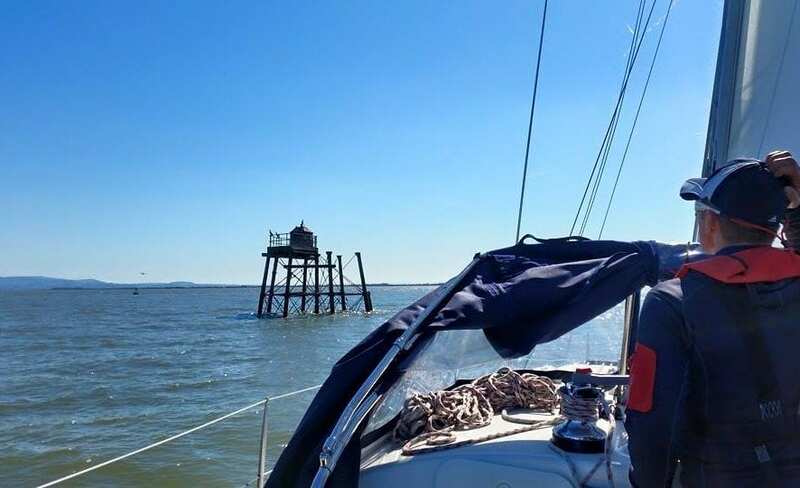 Situated nearly two miles off Fleetwood, the now disused lighthouse marks the entrance to Fleetwood Channel and the River Wyre. 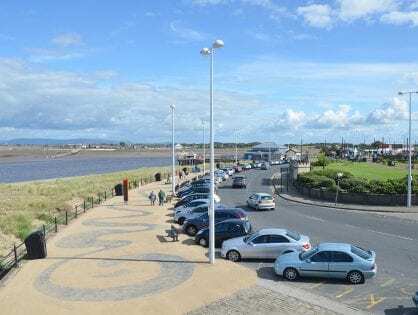 Fleetwood had three lighthouses so that ships approaching land could line them up and know they then had safe passage into the Wyre estuary to dock safely at Fleetwood. This brilliant bit of aerial footage was filmed on 28.5.16 with a Phantom 4 by Paul Ashworth – we’d like to thank Paul for sharing it with us. 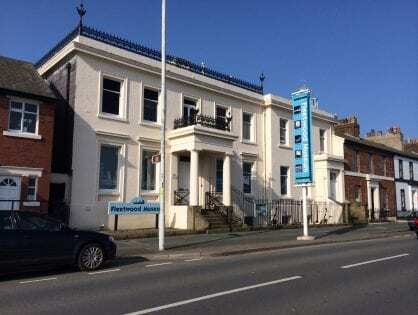 A team of local people led by Fleetwood Civic Society have spent considerable time and a lot of effort over recent years, trying to establish who the owners of the Wyre Light are. The ambition was to hopefully start the process of preserving at least some of this unique landmark for future generations. 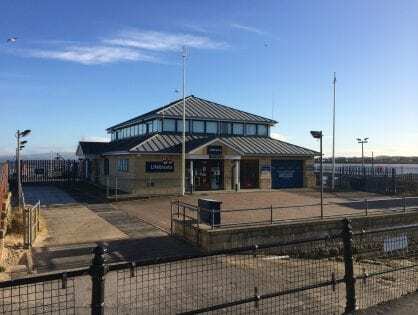 Lancashire County Council, the Duchy of Lancaster, Trinity House and ABP have all denied ownership of the structure, which must be owned by someone! Even Historic England refused to acknowledge it’s importance when Fleetwood Civic Society requested that it be listed. One puzzling question is, back in the days when it was maintained by the railway company, who did they send the bill to? The ambition was to have a survey of the structure carried out and then stabilise the legs – but in order to do that they needed to know who owns it. Do you know? Anyone who is interested in the history of Wyre Light will know that it’s been at threat of collapse for some time. However, a storm on 26 July 2017 caused it to shift to one side and start to finally fall over. 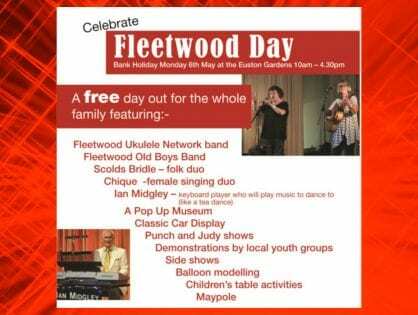 A sad day for Fleetwood. 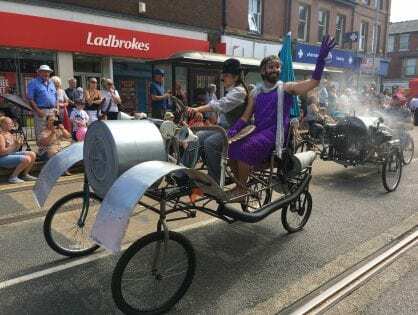 This excellent photo below was taken by Rachel Lane on Saturday 22 July 2017. It’s probably the last photo of it taken of it in an upright position. 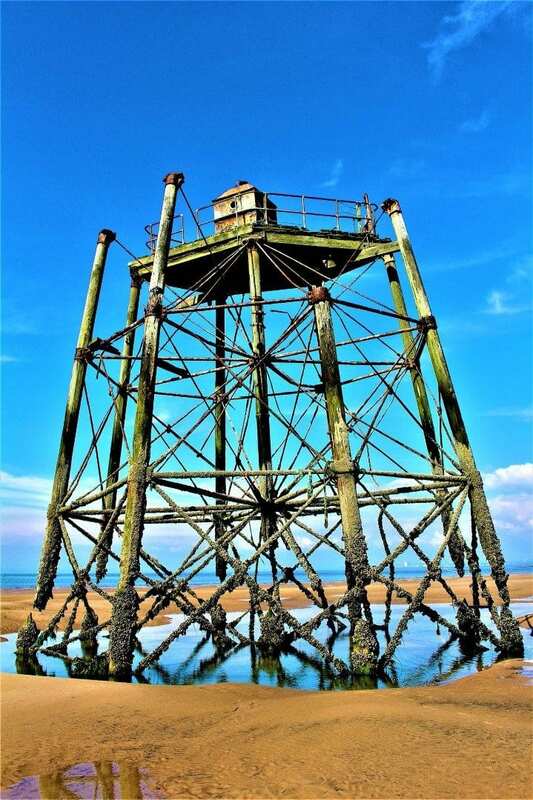 George Booth took the photo below of Wyre Light collapsing into the sand on Saturday 23 September 2017. WARNING: Please DO NOT attempt to walk out to Wyre Light. 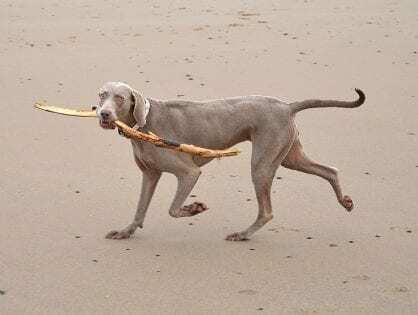 The sands are very dangerous and there is a real risk of loss of life. Wyre Light was built in 1839-40 by Alexander Mitchell. 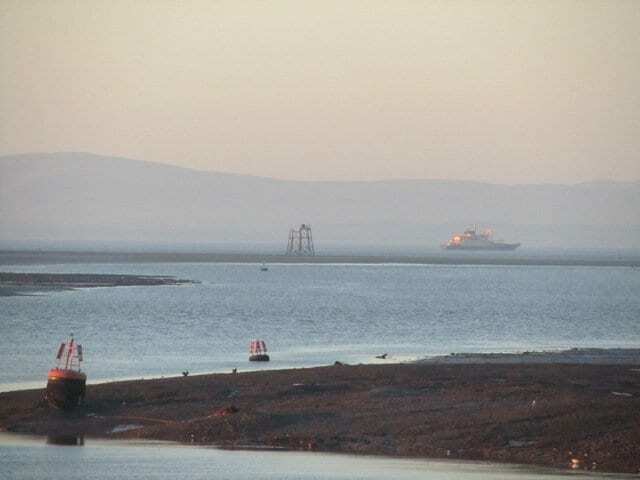 It stands offshore where the Irish Sea meets the estuary of the River Wyre on the northeast corner of North Wharf and the Lune Deep. It’s first name was ‘Port Fleetwood Lighthouse’. 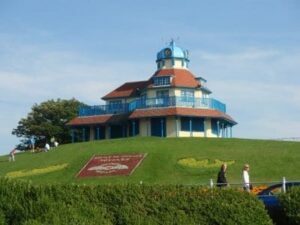 Fleetwood is unique in having three lighthouses. Wyre Light is unique in its own right because it was the first screw pile lighthouse to be built and lit in Britain. 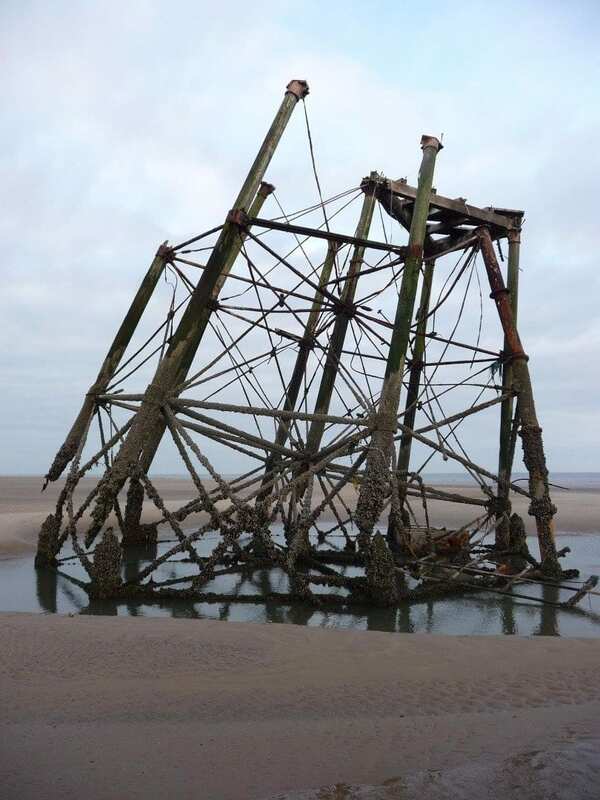 It originally sat on seven screw piles, each driven into the seabed. In fact it was the first completed screw pile structure in the world and as such has huge historical significance. 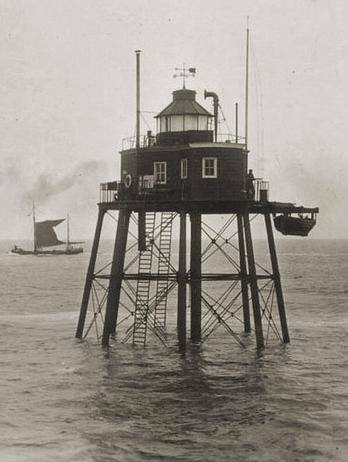 When Wyre Light was built it was 40′ or 12m tall – the platform supported a two storey building which housed the keeper who manned the lantern. 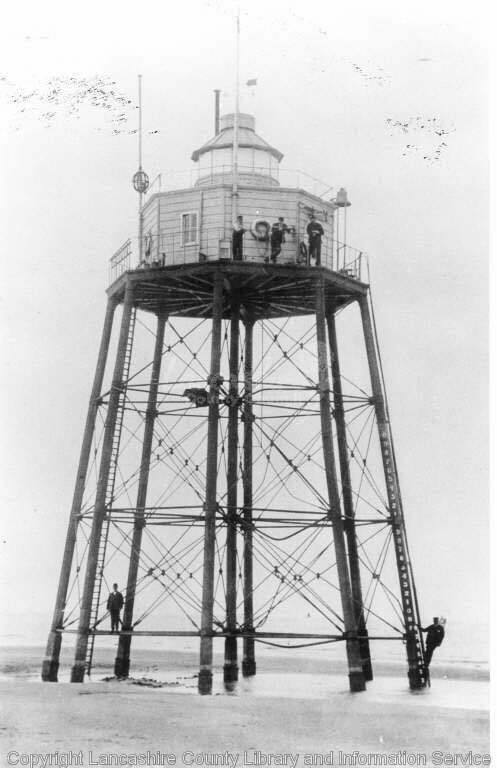 The beacon was replaced with an automatic one after the fire in 1948 and in 1979 was replaced by a lit buoy. 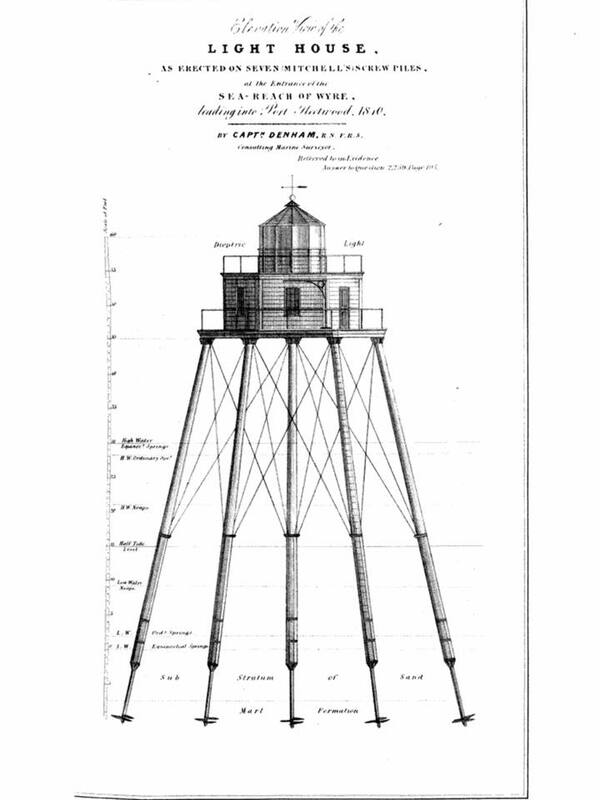 The illustration below is Captain Denham’s design drawing of how the Light House was to be built and erected on the ‘Sea Reach of Wyre, leading into Port Fleetwood’. As erected on seven Mitchell’s Screw Piles’. It was shared with us by Chris Hudson. A fire in 1948 destroyed the building and over the years much of the structure has been damaged by rough seas and lost, leaving behind derelict remains. The Wyre Light was 175 years old in 2015. 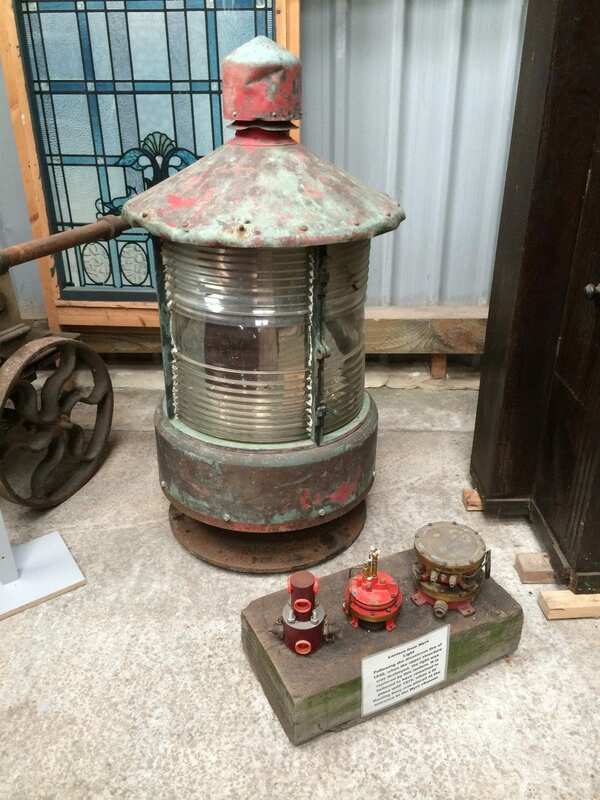 The large copper and glass lantern from the Wyre Light is on display at Fleetwood Museum in the Harriet Boat Hall. 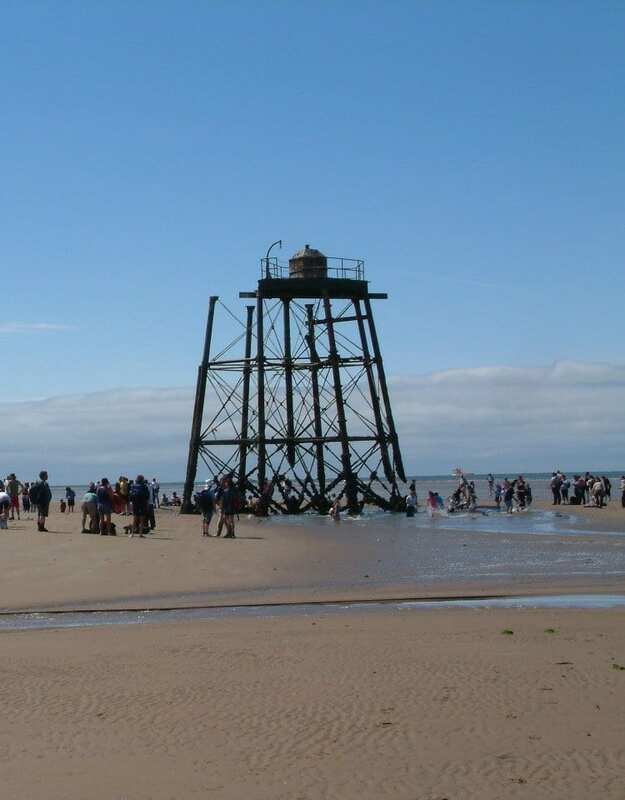 This was the main light on the structure after the disastrous fire in 1948, and was used until 1979 when the ‘Wyre Light’ was replaced with a lit buoy. The Lantern was battery operated, and the fog horn worked off gas. It stands around 4 feet tall.  Has this article whetted your appetite to find out more? 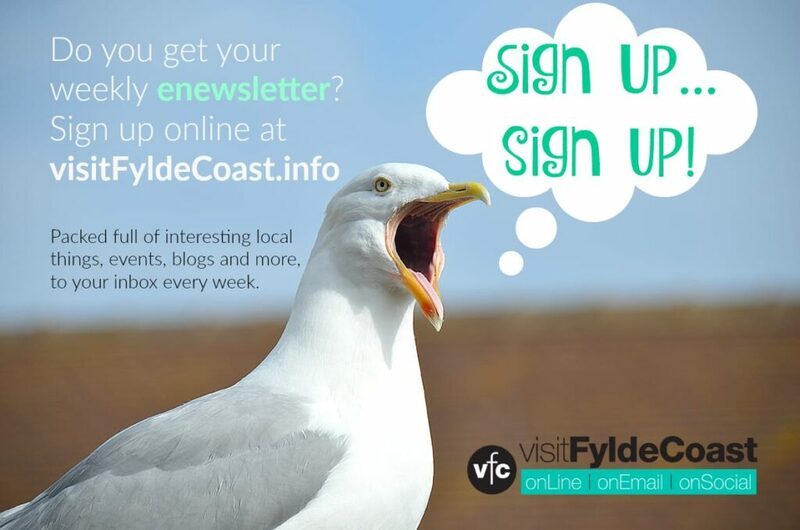 Join Save the Wyre Lighthouse Facebook group – where you’ll be able to see lots of fascinating photos of Wyre Light over the years. Read real stories of the people who worked there and were connected to it.